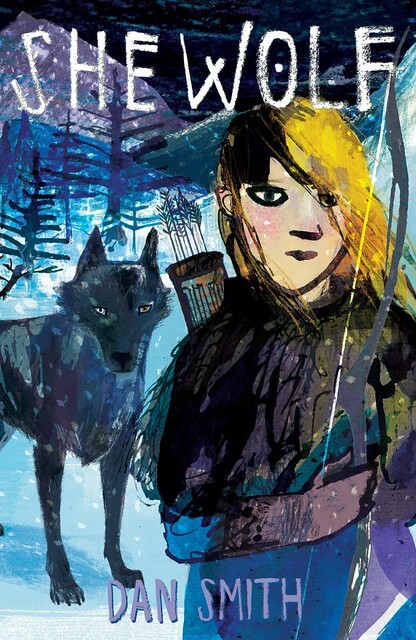 In She Wolf we go back 1200 years, to the Northumbria of Saxons and Vikings. Dan Smith has written this story about Ylva, recently arrived in England with her mother. Times are rough and almost immediately Ylva’s mother is murdered, and Ylva sets off after the killer to exact revenge. Because it’s what you did. There are wolves, and bears, and it is cold. She meets various people on her hunt for the three-fingered man who killed her mother. Some she can – probably – trust; others she shouldn’t. But it can be hard to know who is dangerous and who isn’t. Ylva is brave, but also young and naïve and doesn’t always get it right. In fact, she gets it wrong a lot of the time. The Vikings are dangerous people, but as Ylva is a Dane, she is wary of getting too close to the Saxons as well. This is exciting stuff, and you learn a lot about what it could have been like. Bleak. Not much in the way of creature comforts. This entry was posted in Authors, Books, History, Reading and tagged Dan Smith, Jill Calder. Bookmark the permalink. I can’t seem to find any sharing buttons on your post, so that I can share it on social media. Am I miss8ng them, or do you need to add them? You can just copy and paste the url at the top of the window. It’s what I do. Interresting, this is going on my tbr.